Inilah rupa Komandan pasukan Israel yang menyerang kapal pengangkut aktivis dan bantuan kemanusiaan Mavi Marmara untuk Gaza pada dinihari Isnin (31/5) semalam. Ternyata seorang China-Israel, Laksamana Eliezer Maron. Maron merupakan ketua inteligen angkatan laut Israel yang pada awal tahun lalu dihebohkan oleh skandal Go-Go Girls Club, di mana Maron berpesta di sebuah klab tari telanjang di Tel Aviv. Marom merupakan peranakan dari ayah berbangsa China yang hidup di Jerman pada masa perang dunia kedua, manakala ibunya berketurunan China-Rusia yang memeluk Yahudi. Orang tua Maron pindah ke Israel setelah negara itu berdiri pada tahun 1948. Maron sendiri menikah dengan seorang perempuan Israel keturunan Asia. Agensi berita Alarabiya (1/6) melaporkan, Maron adalah orang yang memberikan perintah kepada pasukan AL Israel untuk menyerang kapal Mavi Marmara, dan membunuh 20 orang aktivis kemanusiaan di kapal itu. Bagaimanapun, kapal Mavi Marmara yang diserang itu dikatakan bukan kapal yang dikehendaki Israel. Akibat peristiwa itu, Maron menerima banyak kecaman dari berbagai pihak di Israel dan menuntutnya untuk meletakkan jawatannya. QUNUT NAZILAH: End your Prayer by reciting it, May Allah helps us in fighting our foes! 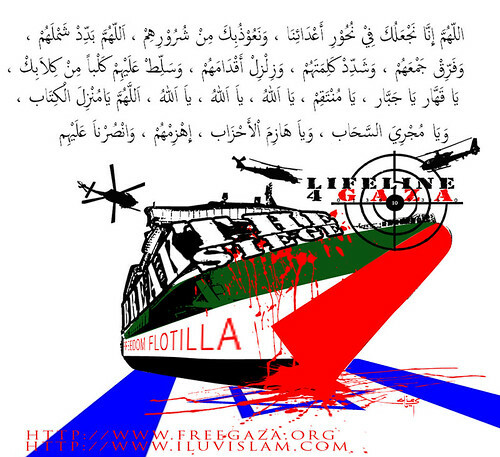 Up to 16 people were killed and dozens injured when troops stormed the Freedom Flotilla early on Monday, the Israeli Army Radio said. The Israeli Army Radio said soldiers opened fire “after confronting those on board carrying sharp objects”. “All the images being shown from the activists on board those ships show clearly that they were civilians and peaceful in nature, with medical supplies on board. So it will surprise many in the international community to learn what could have possibly led to this type of confrontation,” he said. “(The interception on the convoy) is unacceptable … Israel will have to endure the consequences of this behaviour,” the Turkish foreign ministry said in a statement. Ismail Haniya, the Hamas leader in Gaza, has also dubbed the Israeli action as “barbaric”. Israel said the boats were embarking on “an act of provocation” against the Israeli military, rather than providing aid, and that it had issued warrants to prohibit their entrance to Gaza. Brentwood, Tennessee is a nice, suburban community located in the state’s Williamson County – a county perennially listed as one of the wealthiest in the nation. It is also the unlikely location for the latest nail in the coffin of religious freedom in America. The Muslim-Americans in the community of Brentwood had hoped to build a mosque in the pursuit of practicing their religion. After the prospective organizers of the project agreed to a series of reasonable restrictions requested by the Brentwood City Commission, the Commission voted to rezone a fifteen acre parcel of land for use as the Islamic Center of Williamson County. That’s when the haters got busy. The plan to derail a proposed mosque in Brentwood was simple but effective. Through e-mails, blogs and word of mouth, opponents told friends and neighbors they were suspicious of the mosque and feared its leaders had ties to terrorist organizations. The encouraged citizens to write letters to the city commission expressing their concerns, including worries about traffic and flooding. Meanwhile, in New York City, plans to build a mosque and community center two blocks from Ground Zero has run into a buzz saw due to strong, conservative opposition – opposition supported by United States Congressman Peter King (R-N.Y.) who tells us that allowing the religious center to be built is “very offensive and wrong”. I guess Rep. King didn’t get the memo that a great many innocent Muslim-Americans also died in the 9-11 attacks. As a confidence-building measure for those of us who live in the neighborhood, it would help if the pair voluntarily answered some questions about the nature of their beliefs. Apparently, religious freedom is just fine – so long as Mr. Stephens and neighbors are ‘confident’ that the beliefs of those in question are satisfactory to the neighborhood. -Who perpetrated the attacks of 9/11, and what was their religion? -Are suicide attacks or other forms of violent jihad acceptable under any circumstances, including against American soldiers in Iraq and Afghanistan? -Does Israel have a right to exist as a Jewish state? -Do they agree with the State Department’s designation of Hamas and Hezbollah as terrorist organizations? -What aspects of Shariah law, if any, do they repudiate? Maybe I’m suffering from a severe memory lapse, but I just can’t seem to recall the part in the Constitution where the Founders created freedom of religion with the pre-requisite that those wishing to pursue their faith can only do so by turning in an acceptable performance on a local edition of “Jeopardy”. I also have some recollection that one of the key principles behind our democratic experiment is the separation of politics from religion, and yet here Mr. Stephens wants to grade these Muslims on their response to purely political questions. This latest round of Muslim hatred in America should come as no surprise. As the national dialogue continues to be fed by the narrow views of the religious right, we’ve seen religion play an ever increasing role to the point where it is now virtually impossible for someone to run for elective office without first making a public profession of fealty to God as a qualification to hold office. What is particularly ridiculous about the efforts to prevent Muslims from practicing their faith is the constant suggestion that their places of worship are centers for terrorist activity and must, therefore, be avoided at all costs. While it is no doubt true that there are some American-Muslims who have negative, possibly violent, feelings towards America – just as there have always been organizations in this country with violent objection to African-Americans, Jews, Catholics, etc. – is anyone so naive as to believe that these people are incapable of gathering absent the existence of a mosque to bring them together? When the Klan gathered to burn a cross on the front lawn of a Black or Jewish family, did they organize the event behind the walls of their local Baptist church? Maybe – but that certainly never presented an argument to deny the local Baptists the opportunity to build that church so as to benefit those who were simply looking for a place to worship in accordance with their beliefs. Once again, we find that in the effort to protect our country, we are destroying our country. While people like Bret Stevens may believe their intentions to be good, is it wrong for us to expect that someone who is privileged to write for one of the country’s most widely distributed newspapers would have the intellectual capacity to see that his suggestion is a serious blow to this nation’s fundamental principles? This needs to stop – and it needs to stop now. While some may believe they are doing what is necessary to protect the nation, we are soon going to wake up to find ourselves living in a country we can no longer recognize. Let’s hope it is not too late already. Remember the fall of Al Andalus, Muslim Spain in 1492 and how the Muslims were progressively forced to act as Christians to hide their identity? Well, don’t we say that Histoy repeats itself? Believe it or not but the same thing is happening today, and about 8 millions Muslims can’t pray, fast and worship Allah swt as they want. Chinese authorities in Xinjiang Province have issued a notice that any Uyghur cadres or workers found not eating lunch during Ramadan could lose their jobs. 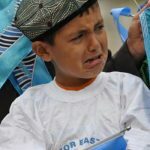 It is part of the campaign of local authorities in Xinjiang, home to the Muslim Uyghur ethnic group, to force the Uyghur people to give up their religious rituals during the fasting month of Ramadan. Ramadan is a holy month in the Islamic calendar, which begun this year on Aug. 22. It requires not eating during the daytime. “Free lunches, tea, and coffee—that authorities are calling ‘Care from the government’ or ‘Living allowance’—are being offered in government departments and companies. But it is actually a ploy used to find out who is fasting,” said Dilxat Raxit, World Uyghur Congress spokesman, speaking to The Epoch Times. According to Dilxat, Uyghur Communist Party cadres throughout Xinjiang had been forced to sign “letters of responsibility” promising to avoid fasting and other religious activities. They are also responsible for enforcing the policy in their assigned areas, and face punishment if anyone in these areas fasts. For the first time, Dilxat said, the crackdown has extended to retired Communist Party members. 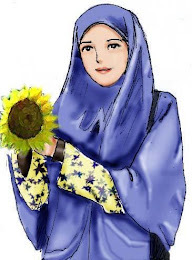 Current cadres are required to visit them to prevent them from participating in the fast. If anyone violates the ban, local leaders will be held responsible and severely punished, he said. Muslim restaurant owners are forced to sign a document to remain open and continue selling alcohol during Ramadan or have their licenses revoked, he said. Uyghurs arrested during the July riots in Urumqi are also prohibited from fasting; those who insist on fasting will be force fed food and water while enduring insults for their misbehavior, he said in the interview. Monks in mosques are forced to preach to others that fasting is a “feudal activity” and harmful to health, said Dilxat. Otherwise, their religious certification will be cancelled. An Epoch Times reporter contacted the CCP’s State Ethnic Affairs Commission to see whether the restrictions claimed by Dilxat were official, or what the official stance on Ramadan was. The media contact wouldn’t speak on the subject, instead giving two numbers in Xinjiang that he said the reporter would be able to call to find out more. Both numbers were continually busy, and when the reporter called the State Ethnic Affairs Commission back, the man hung up. The directives are communicated on official Web sites in the region, however.